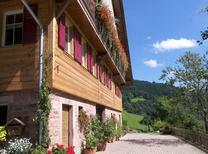 Holiday apartment for four people in the Black Forest, located between a wood and a meadow with a view of the countryside. ​Black Forest | Here we'll show you the accommodation in the Black Forest, which has received the best reviews from our customers. 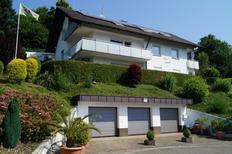 Studio for two people in a Black Forest House in Guttach. 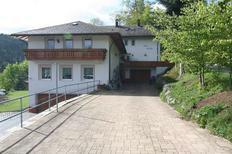 Holiday apartment close to the piste for 8 people in Hofsgrund. Liftverbund Feldberg |The ski region around the highest mountain of the Black Forest is especially characterized by its clarity and family friendliness with many offers for children. This unusual treehouse in the style of a railway carriage is in Schleswig-Holstein. 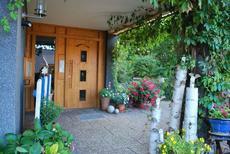 At a holiday apartment for 4 people on a farm in the Black Forest. ​Germany | Feed animals and run riot in the hay, grill bread on a stick and discover the agriculture. Vacation on a farm can be an eventful and lively experience for the entire family. 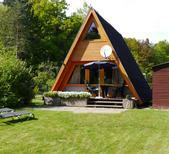 Houseboat for four people by the island of Fehmarn. Germany | Whether you’re by the sea, at one of the numerous lakes and rivers – each angler will find his individual fishing paradise in Germany. 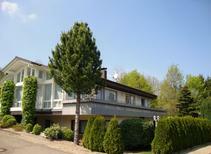 Eifel | A vacation in a holiday park is particularly ideal for families. As parents you can lean back and relax whilst your kids are taken care of your hands and are fully entertained. 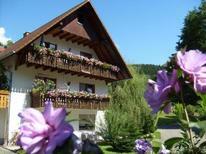 Those seeking an active vacation will very much enjoy the Black Forest as it is true paradise. The clear air and diverse landscape entice to have a proper workout. Whether hiking, mountain biking, climbing, water sports or skiing there is something available for everyone. The typical Black Forest houses and the world famous cuckoo clocks are probably the first things one associates with the Black Forest. 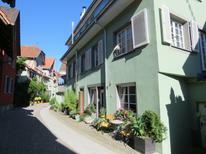 Of course you have the opportunity to spend a vacation in one of the original timber framed houses. atraveo offers you more than 800 holiday apartments and houses in the Black Forest including some real Black Forest houses. In most cases you will find a cuckoo clock hanging on the wall. But what are the holiday possibilities in this south western mountain range in Germany which go beyond the stereotypes of this region? Large parts of the dense forests and countless mountains which shape the Black Forest are part of two nature parks Southern Black Forest Nature Park and Black Forest Nature Park Central/North. The highest mountain in the Black Forest and also of Baden-Wuerttemberg is the Feldberg with 1,493 metres. From here you have a splendid view across the landscape and on a clear day you can see the French Vosges or see across the entire Swabian Alps. The other summits though such as Kandel or Schauinsland are equally rewarding. Along the seas such as Titisee and Schluchsee or in the valleys like in Kinzigtal and Murgtal you are able to go on extensive discovery tours. The Triberg Waterfalls are very impressive with a descent of more than 160 metres which makes them also the highest in Germany. Beyond this the Wutach Gorge is highly interesting if you are interested in geological issues. Also away from the beautiful nature the Black Forest has a lot to offer. As mentioned above those interested in the Black Forest houses will receive an array of well presented information in the open air museum Vogstbauernhof near Gutach the Black Forest Railway. Here an entire historical Black Forest village has been built with original houses. 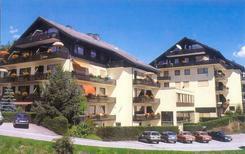 It is also worth paying a visit to the many towns and villages in the Black Forest region with their respective sights. So for example Baden-Baden is renowned for its casino or Furtwangen for its German Clock Museum. Villingen and Freiburg im Breisgau impress with their old town centres and in the small Freudenstadt you can find the largest marketplace in Germany. Black Forest: Top class gastronomy in the "Star village"
Gourmets and foodies on holiday in the Black Forest region will particularly visit Baiersbronn once or twice during their stay. Quite unique for Germany this small Black Forest town is home to seven Michelin stars. In restaurant Bareiss in the district Mitteltal top chef Claus-Peter Lumpp awarded three stars prepares a range of tasty dishes. Also distinguished with three stars Harald Wohlfahrt serves his cuisine in the Schwarzwaldstube in the district Tonbach. Presently with one star Jörg Sackmann shows off his culinary skills in the Restaurant Schloßberg in Schwarzenberg. When in the area you should not miss out on Baiersbronn and indulge in some of the culinary delights in this “star village” The only torment is to choose which star cook you want to visit first. A good way to get rid of that extra weight eaten in the “star village” is to go on one of countless hiking or cycle tours through the beautiful Black Forest landscape. Many well laid out ways provide for many lovely moments during extensive tours. At Titisee, Schluchsee and other seas the focus during the summer months is on bathing and water sports. Whether just a splash around or windsurfing and diving there are a range of activities that nobody will be bored. If you are looking for an adrenaline kick then maybe you might consider a spectacular climbing or mountain bike tour. Due to the considerable differences in altitude in the terrain the Black Forest is a paradise for hang gliders. The excellent thermal baths in the Black Forest provide the ideal setting to relax and spoil yourself. Those on the lookout for wellness will find for example Baden-Baden, Badenweiler, Bad Wildbad, Bad Krozingen and Bad Bellingen to their liking. During the winter the Black Forest is particularly popular with winter sport enthusiasts. Ski regions such as Liftverbund Feldberg offers lots of snow pleasure and the Black Forest landscape is transformed into an enchanting white winter wonderland.